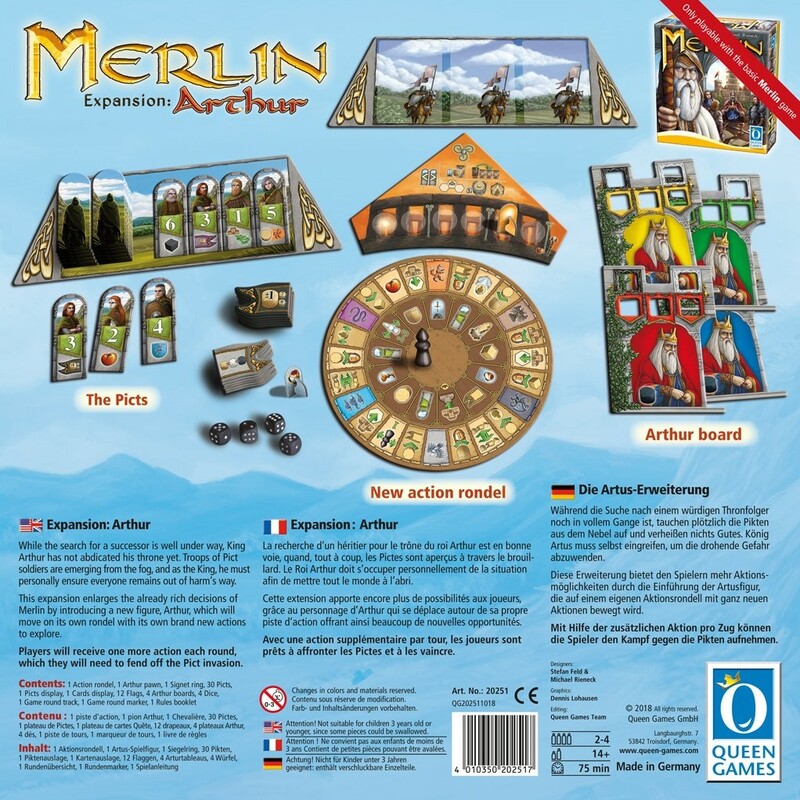 While the search for a successor is well under way, King Arthur has not abdicated his throne yet. Troops of Pict soldiers are emerging from the fog, and as the King, he must personally ensure everyone remains out of harm‘s way. 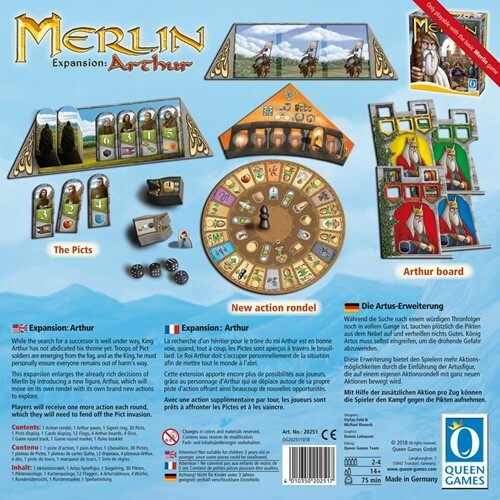 This expansion enlarges the already rich decisions of Merlin by introducing a new figure, Arthur, which will move on its own rondel with its own brand new actions to explore. 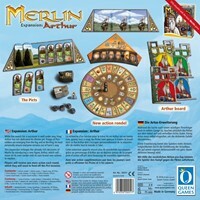 Players will receive one more action each round, which they will need to fend off the Pict invasion.